The government shutdown Oct. 1 closed all national parks, including the Mount Rushmore National Memorial in South Dakota. It is unknown when the national parks will reopen as the shutdown enters its second week. 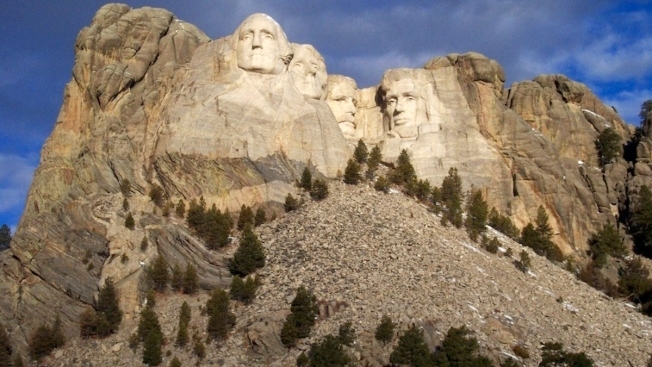 Authorities in South Dakota say an autopsy has confirmed a man whose body was found at the bottom of a cliff near the Mount Rushmore National Memorial died in an accidental fall. The Pennington County Sheriff's Office says the body of 58-year-old Anthony Rashid was found at the base of a cliff near a popular climbing area on July 20th. Authorities say the Illinois man had gone hiking or climbing on July 19 and was found by hikers the next morning. Sheriff's officials say Rashid died of multiple force trauma due to the fall. Officers from the National Parks Service and the Pennington County Sheriff's Office responded to the call from hikers. An investigation continues with the assistance of the FBI. No hometown for Rashid was given.